- KORRES Eyeshadow Sunflower and Evening Primrose Eyeshadow Long-Wearing "No. 66 PINK"
- Sleek i-Divine SNAPSHOTS Color "Sand Walker"
- KORRES Eyeshadow Sunflower and Evening Primrose Eyeshadow Long-Wearing "No. 14 IVORY"
oh man! you look perfect! you look just like alice! how perfect <3 i just stumbled across your blog. would you like to follow each other? Lovely tutorial! You are so pretty too! Your blog layout is also adorable, I love the falling petals. I've followed you too! Hope you don't mind - and I hope you'll check out my blog too! awesome tutorial! want to follow each other on youtube? i have a channel, too! Beautiful make-up...I love it , it looks so natural ღ !!! yay!! 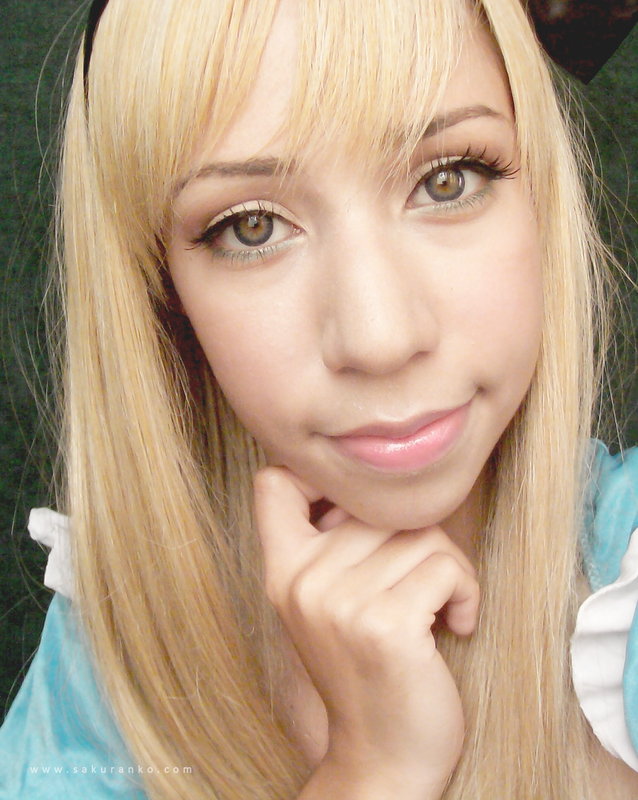 i'm so happy you did a tutorial for your alice in wonderland makeup because you look so pretty and sweet! i love this makeup looks so natural and happy :)! So excited about this wonderful tutorial, I adore this very pretty and natural type of makeup, you look beautiful!Always glad to see you stop by...Happy End Of The Week! nice tutorial.... you're very beautiful.. This is so cool! Halloween is a super fun time of the year - it just comes and goes too fast! Awww you look super adorable and I think you did a wonderful job portraying Alice! :D I'm so jealous of how flawless your skin looks. You are talented! And I love the costume! Lovely tutorial ^^ Fun look!! This make up is really great, love it! cute :) thanks for sharing! you look so cute!! 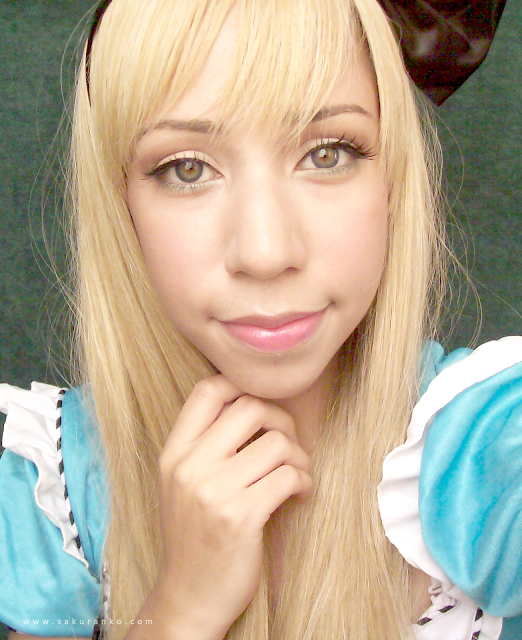 I think you would make a very cute alice! I am jealous of your hair!! Hi dear :D you are so pretty! Your skin is flawless ^_^ thanks for the tutorial! Ah, what a pretty look. You really captured the look! You look soo pretty! Love the makeup look! :) --and oh those lashes!